We are a capable of being your “one stop shop” for your dream home or custom project. All of our top quality products are stored out of the elements to preserve the quality and to ensure that you receive only the best quality products how you want it, when you need it. 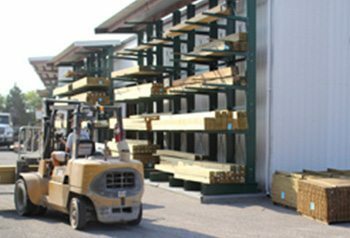 We offer a wide variety of quality products including dimensional lumber, studs,panel products, exterior and interior trim products, various decking products, as well as superior engineered wood products. In addition to these panel products, we have a large selection of other commonly used grades and species available.